Before I start on the picks for this week I need to take care of the business I forgot to do after the last event and congratulate Brian G. for his win at The Memorial Tournament. Brian won by about $152k over Joe. It was his 2nd cash of the year and first win since the 2015 Barclays. Joe got his first cash of the year finishing 2nd, around $202k ahead of Mike M., who just keeps cashing. I ended up on the bubble. The top 4 in the Year-long standings didn't change. It was the first event of the Summer Season, so those standings are obvious. Now for this week, the 2nd major of the year. We chose 25 golfers. D.J. is the favorite, one pick short of unanimous. Rickie was the 2nd most popular choice, showing up on 13 teams. Day, McIlroy and Spieth were picked 11 times each. Ten players like Jon Rahm. Justin Rose got 9 votes. Sergio got the nod 6 times. Schwartzel is a four-bagger. Kisner is the only trey. This week's deuces are Alex Noren, Adam Scott, Justin Thomas and Brooks Koepka. Eleven unique picks. Hugh leads with 3. Dave and Chris have 2 each. Bill, Randy and both Mikes have one each. Nine of us won't know Open Glory through a unique pick. Oliver and Brian T. have the same 7 golfers. The USGA doesn't calculate the payouts until after the cut, so the standings currently reflect the purse percentages from last year. I will update the payout percentages when I find them. This is very much a major championship set of picks. Seven golfers were picked by more than half of us, which is the most that I can remember. Only two other golfers are not uniques, deuces and treys, so there is still plenty of players taking some chances. 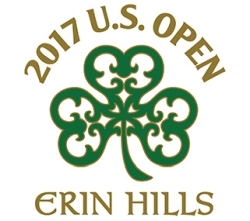 The course played easy on day one, I don't expect the USGA to be so generous the rest of the week. The USGA was very generous this year in paying these players. They increased the purse to $12 million, up from $10 million last year. Someone could take a nice, healthy Summer Season lead after this week. Hey, it's the U.S. Open, it's gotta be a good one. 'Nuff said.